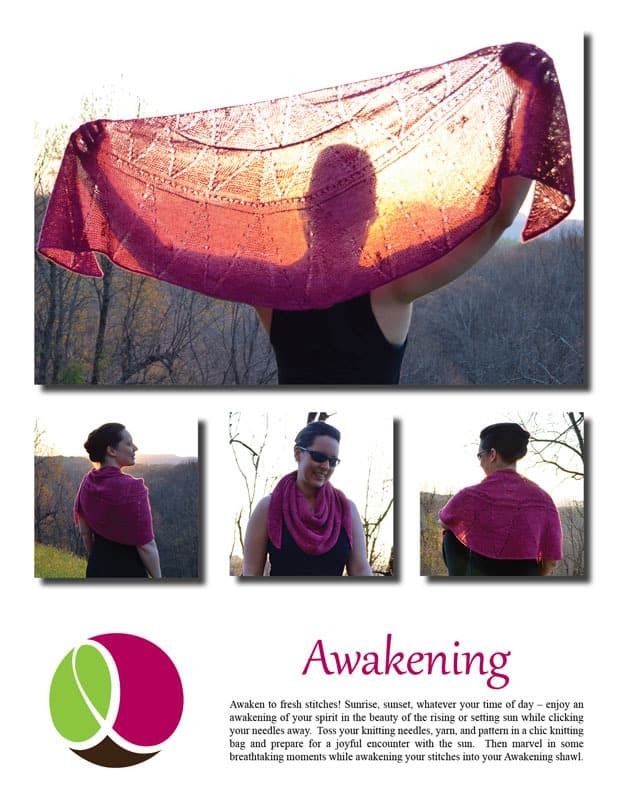 Awaken to fresh stitches! 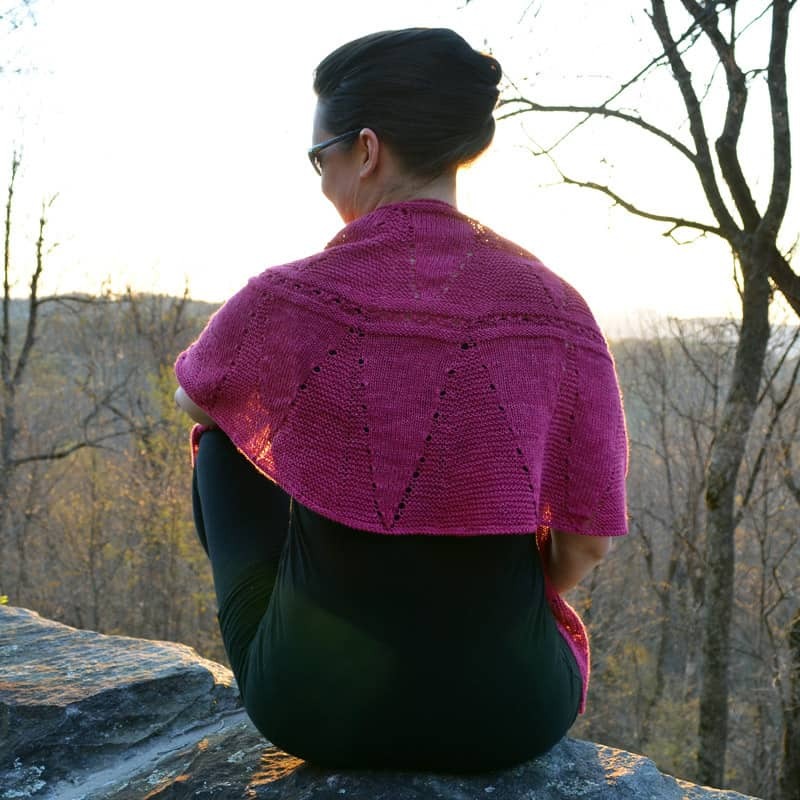 Sunrise, sunset, whatever your time of day – enjoy an awakening of your spirit in the beauty of the rising or setting sun while clicking your needles away. Toss your knitting needles, yarn, and pattern in a chic knitting bag and prepare for a joyful encounter with the sun. 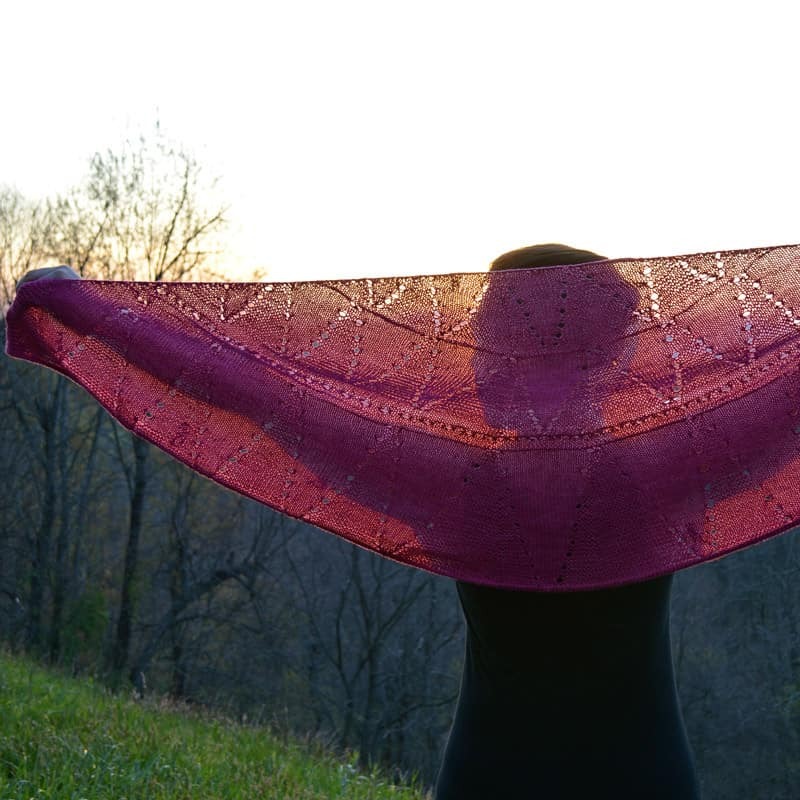 Then marvel in some breathtaking moments while awakening your stitches into your Awakening shawl. 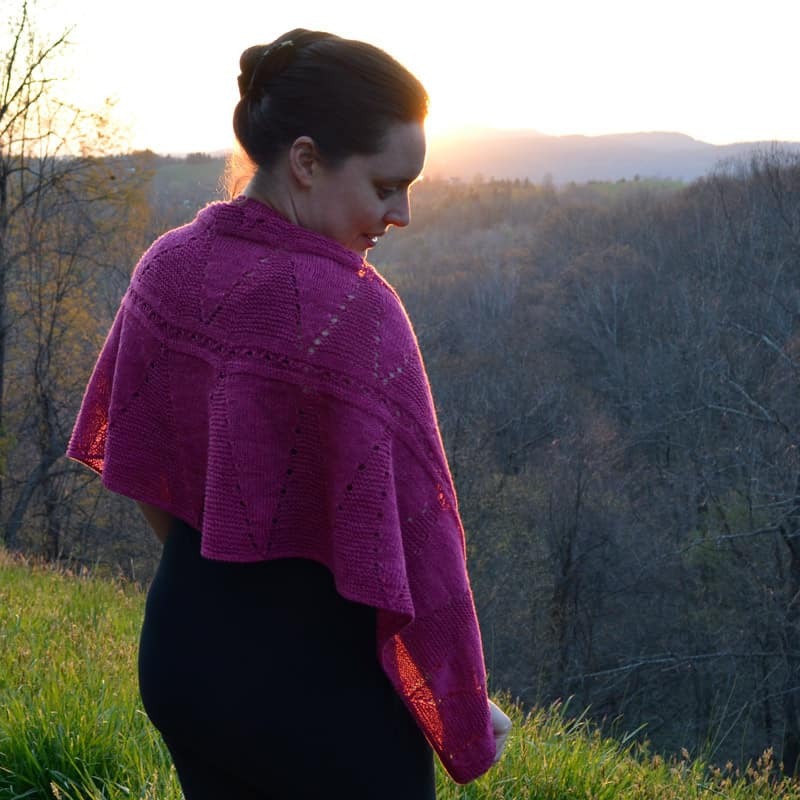 The tech edited and test knit intermediate level pattern is fully written and fully charted. 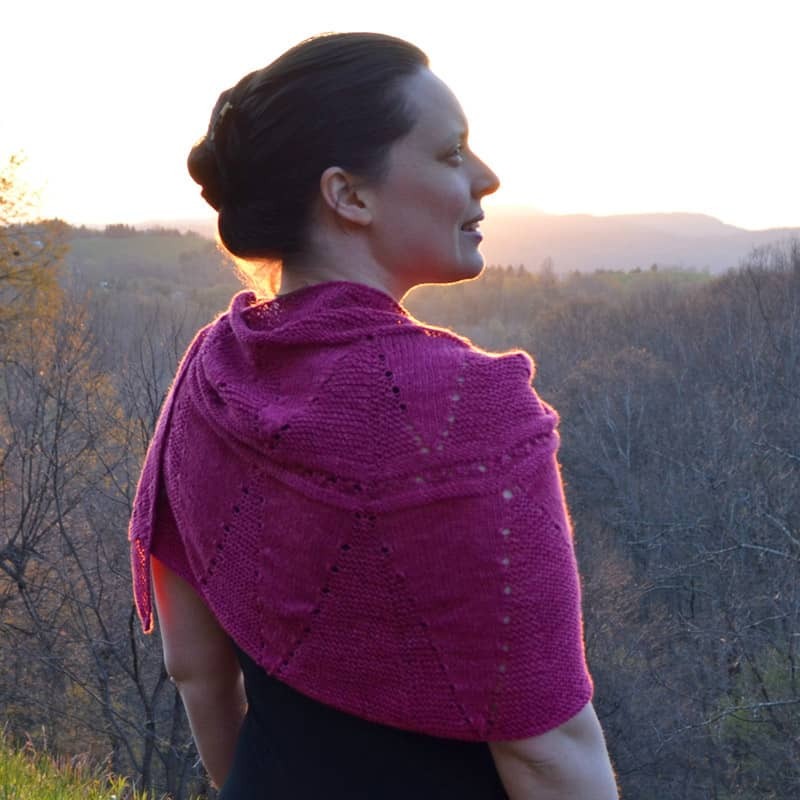 Constructed top down using short rows. Experimenting with short rows last year I fell in love with a new twist on this familiar technique – if you love shawls and short rows, this one’s for you! There is a “no finishing required” option as well as an alternate cast on option (which requires finishing). 2 (3) skeins eco-stitch hand dyed sport weight yarn, shown in Hot Pink. 22 sts and 36 rows over 4”/ 10cm in Stockinette stitch. Note: exact gauge is not critical to this design. Gauge variations may impact final size and yardage requirements. • Written directions pages 2-5; charts pages 6-14.